The award in the ‘Innovative Enterprise of the Year’ national contest is given annually to Bulgarian enterprises and start-ups which have successfully developed and introduced innovations to national and global markets. The contest aims to demonstrate successful Bulgarian business models based on innovation and new technologies and to attract public attention to the achievements of Bulgarian enterprises in the area. The innovation performance of companies is evaluated by an independent jury on the grounds of data provided by the companies and in-depth technology audits of the applicants. 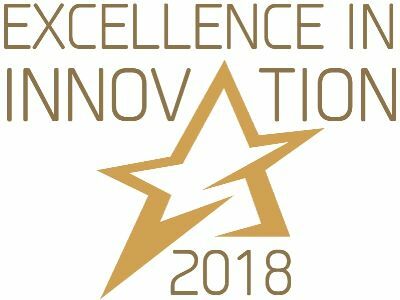 'Excellen ce in Innovation' is the high-quality label of ARC Fund presented annually to awardees at the 'Innovative Enterprise of the Year' National Contest. It recognizes excellence, impact and efficiency of cutting-edge innovations developed by Bulgarian enterprises. The label is provided for the use of enterprises that have successfully passed evaluation by ARC Fund experts and a jury of leading Bulgarian organizations and public institutions within the Contest. Criteria for acquiring the right to use the 'Excellence in Innovation' label include: high quality and originality of the innovation, impacts on national and global markets, environment and society, as well as efficiency of the business model.